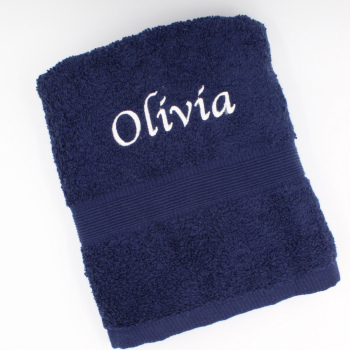 Personalised hand towel in navy blue, a unique and useful gift for home or beauty salons, gym. 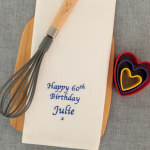 Personalised hand towel in navy blue, a unique and useful gift for home or beauty salons, gym. Popular for birthdays, wedding, anniversary gifts, or sport towel.